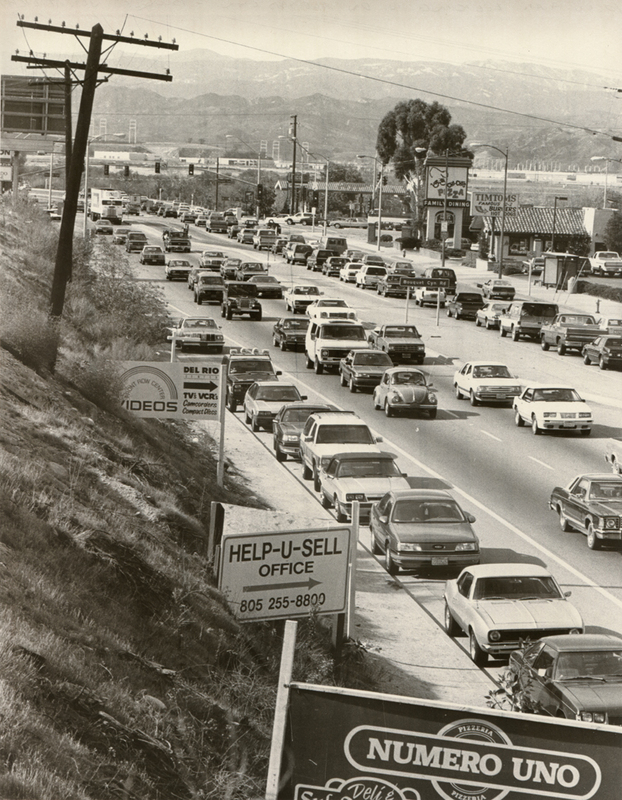 February 1988 — Morning gridlock at 10 a.m. on Soledad Canyon Road, looking west toward Bouquet Junction (the intersection of Soledad, Bouquet and Valencia Boulevard, at the traffic light). Throughout the 1980s, the Santa Clarita Valley experienced rapid residential growth as the County of Los Angeles approved several dense housing projects — e.g., the Jake's Way area of Canyon Country and Plum Canyon in Saugus — without providing adequate infrastructure, such as roads and parks. The lack of infrastructure, as experienced in the resulting "gridlock," was a principal reason residents voted in favor of forming their own city in November 1987. 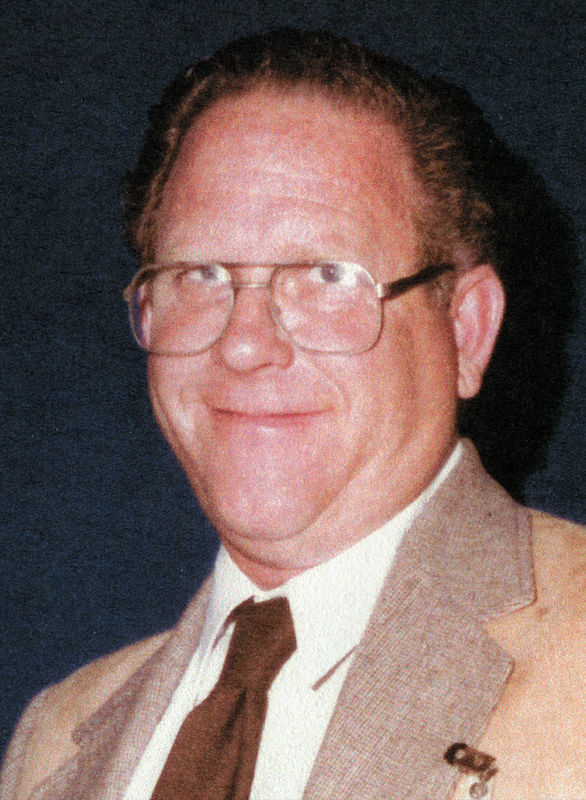 The photographer, Gary Thornhill, presented this photograph and others to Councilman Carl Boyer III at one of the first meetings (actually about the sixth meeting) of the City Council in February 1988, two months after the city incorporated, to help the new council visualize and address the problem (see Boyer 2005:143). GT8802a: 19200 dpi jpeg from original photograph by Gary Thornhill.